Good news—we are still accepting applications for fall 2019! If you are ready to apply, submit your application and all required materials as soon as possible to be considered on a space-available basis. We begin accepting applications on September 1 for the fall semester, and we begin processing applications on September 15. For fall admissions, submit your application and all required documents by December 1 for priority consideration and by February 1 to be considered on a space-available basis. 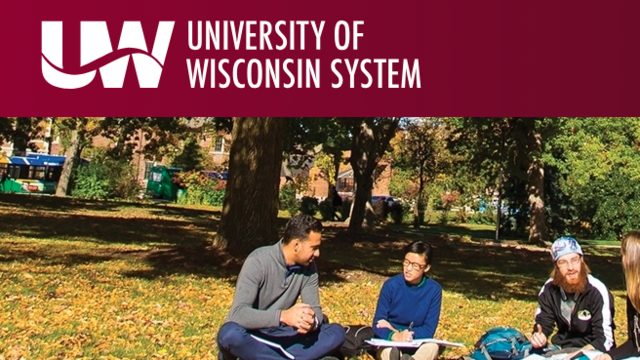 If you meet the admission criteria below and are ready to apply, start your UW System application here. Please expand the accordions below to view criteria we look at for admission to UWEC (the units required, other academic factors and non-academic factors) and instructions on how to apply. First-year admission is competitive and selective. Academic preparation and success are the primary considerations for admission, although nonacademic factors are also considered. Each application for admission is given a comprehensive review. Traditional first-year applicants are considered using the guidelines below. 1 unit = 1 year of high school study or equivalent. These are minimum units; most applicants exceed them. NOTE: Students who begin taking high school course work prior to high school (e.g, mathematics, foreign language in grade 8) are encouraged to continue rigorous course selection from core areas during grades 9-12. Applicants must present evidence of graduation from a recognized high school or equivalent certificate. Pay $50 application fee online at time of application submission, or log back into your application to pay the fee. Note: If you’re a military member, submit Joint Service Transcript or Transcript for Community College of the Air Force. Connect with a counselor to talk through the likelihood of admission. We're here to help! Applicants who apply prior to February 1 and meet college preparatory credit requirements may have an admission decision postponed. Those with postponed applications will be considered on a space-available basis and will be notified of a final decision no later than March 15. Use these links to find admission guidelines and application information for transfer, international, graduate, and other student types.